Nothing makes me more excited than finishing all my skincare products in rotation and adding new ones to the mix. After a few months, the time has finally arrived and I am adding some skin goodies that I've been intrigued for a while now. I also will be skipping out on monthly favourites for February as my favourites really did not change much. 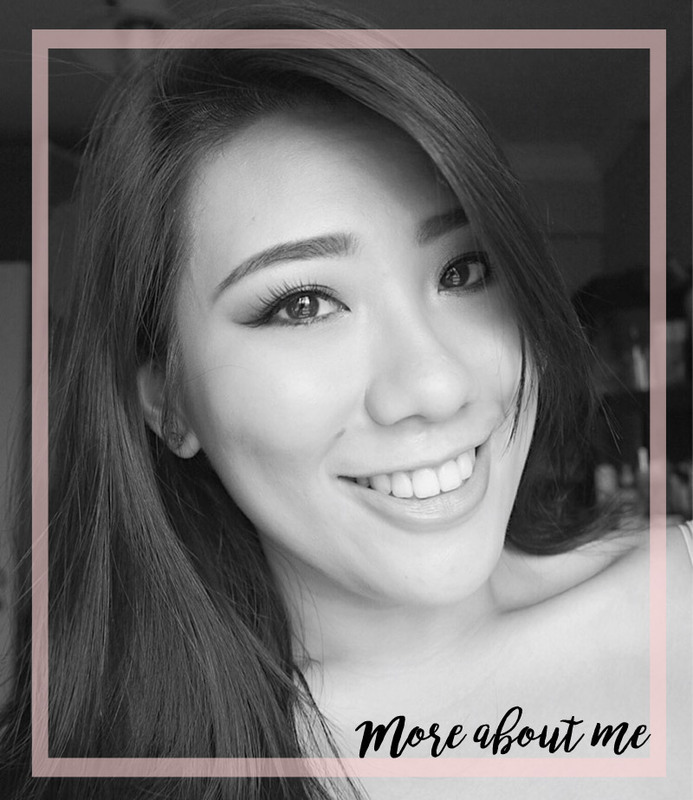 If you want to know some items which I have been loving and using daily, you can check out of my No Foundation Makeup Routine here! Also, there's probably also going to be a pretty long and lengthy empties post soon, detailing all the skincare (and makeup) that I've diligently finished and tackled. 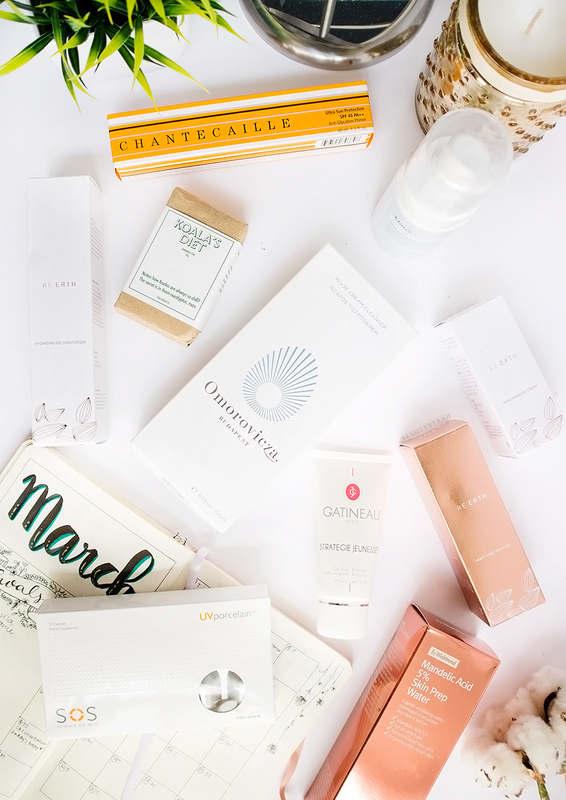 I am lucky to have the lovely opportunities to try out so many skincare items and I know that this skincare routine that I will be sharing with you today may seem high maintenance. Do note that you don't need so many products in your routine to take good care of your skin, as long as the products used are effective. Regardless, I am feelin' extra and I really want to share these items with you guys! Alright let's dive straight in as it is going to be a long post. Firstly, The brand that I am most interested to try out would be Re:Erth. 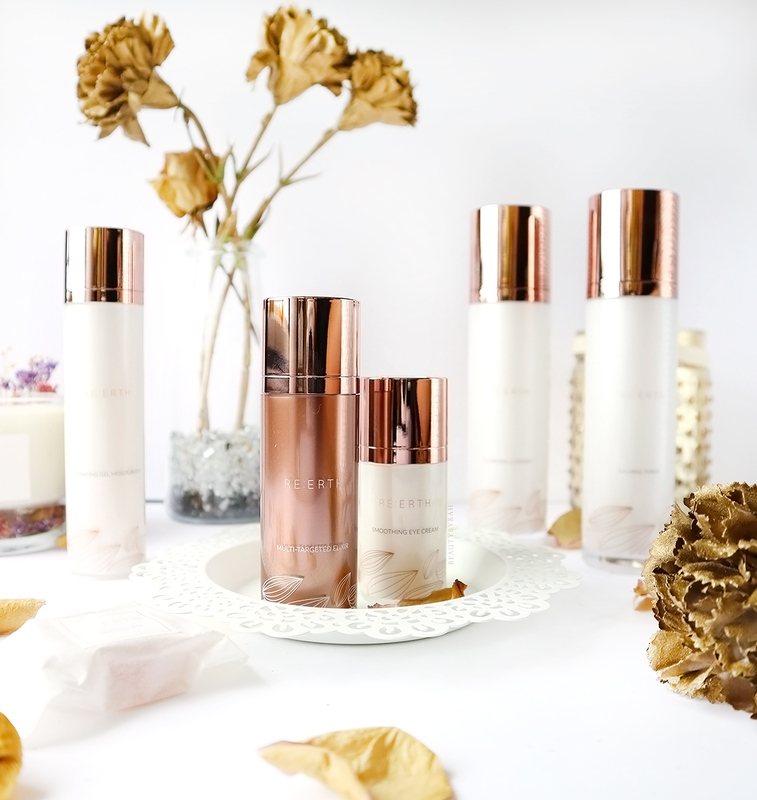 Late last year, I was lucky to attend the launch of Re:Erth Skincare line, which is a skincare line that features nature-derived actives from Japan, Denmark and UK. Re:Erth, which is an abbreviation of Re-encontouring Earth, focuses on natural and effective skincare products with multiple powerful skincare benefits. 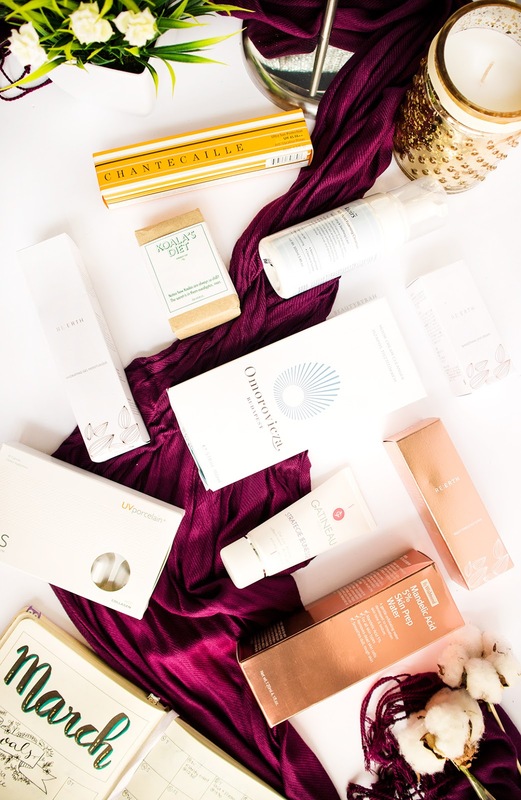 I was introduced to their whole line of products, including the their star product, the Multi-Targeted Elixir, and the urifying Bar, Clarifying Cleanser, Calming Toner, Hydrating Gel Moisturiser and Soothing Eye Cream. The main ingredient included in all of these products is their patented Japanese White Turmeric and Spring Turmeric Extract. Research has shown a combination of these 2 ingredient can inhibit melanin activity, slow down the breakdown of hyaluronic acid within the skin while stimulating cellular activity and collagen production. Fun fact, Re:Erth has their own farms to cultivate and harvest these turmerics! I've not heard of any products with these ingredients before so I am thrilled to give these a try. I have been putting these items off for a while as I wanted to try a few of their products out all at one go and the time has finally arrived. I am particularly excited for the Reerth Muti-Targeted Elixir, which is said to be a one stop solution to all our dull skin woes. This is a serum that is supposed to be applied right after cleansing the skin. It contains the patented Japanese Spring Turmeric Leaf Extract and a high concentration of APPS (a highly stabilised form of Vitamin C) which works together to help firm and tighten, brighten and moisturise the skin while increasing the skin's collagen production. With its Lipodisq delivery system, all of these active ingredients are said to to delivered rapidly and deeper into the skin's deeper layers, where it is the most effective. I am also putting to the test the Reerth Hydrating Gel Moisturiser which is an oil free gel that contains Colostrum extract, Glycoproteins and Turmeric Root Extract to help firm the skin and help protect the skin cells from inflammation and free radical damages as well as their Soothing Eye Cream which contains Turmeric Extract, Water Soluble Vitamin C, Colostrum and Eyeseryl to help re-align collagen fibers, decreas fluid retention and protect the eye area from everyday aggressors. In addition to my Re:Erth products, I am adding the Omorovicza Moor Cream Cleanser as my morning cleanser. I've heard so many good things about it and I can't wait to try it as I have also not tried a cream cleanser before! This Moor Cream Cleanser is enriched with Hungarian Moor Mud (a potent source of calcium and magnesium carbonates, as well as humic and fulvic acids) and claims to help neutralise the aging impact of free radicals on the skin. It also contains zinc oxide (anti-inflammatory and great for reducing redness), and lavender, camphor, peppermint and eucalyptus oils which have a skin-soothing, antiseptic benefit that refreshes and revitalises the skin. This smells so lovely and I can't wait to use this as well. It sounds pretty gentle and since I do have dehydrated skin, a cream cleaner sounds like a great way to cleanse without stripping the skin of its natural hydration barrier. For my new routine, I would like to try eliminating my daily chemical exfoliant step where I apply the active straight to my skin. Thus, I plan to incorporate some products with exfoliating properties in my routine to help slog off all that dead skin instead. To cleanse my skin at night, I will be trying out the Klairs Rich Moist Foaming Cleanser. I've been intrigued by this brand for a long time as my friends love them, so no better time to give this brand a shot. This cleanser is meant for sensitive skin and contains hyaluronic acid, ceramics 3, aloe vera leaf extract and tea tree leaf oil. It uses an amino acid cleansing formula instead of chemical detergents like SLS (which I do support fo' sure), as SLS can be a little too harsh on the skin, especially if you're sensitive. This cleanser contains low irritant exfoliating ingredients (from the ingredient list, I think it might be the pineapple fruit extract) and claims to be hypoallergenic and hydrating. For additional chemical exfoliation, I am also incorporating Wish Trend's house brand, By Wish Trend Mandelic Acid 5% Prep Water. I have used glycolic acid, lactic acid and salicylic acid before so it's time I give mandalic acid a try. Mandelic acid is an AHA that is derived from bitter almonds. Compared to other AHAs like glycolic, mandelic acid is more gentle as it penetrates the skin less. It also contains antibacterial properties, making it a good option in treating acne as well. I've heard Gothamista talk about this before and am super excited. This prep water is an exfoliating treatment that is said to help improve skin tone and texture while enhancing absorption and boosting effectiveness of other skincare product applied after. It also contains Beta-Glucan (moisturising), Panthenol (Vit B5-moisturiser), Centella Asiatica Extract (regenerates damaged skin) and Sodium Hyaluronate. As chemical exfoliation does thin the skin, sun protection is extremely important and since I'm almost out of my current Labiotte one (their UV Veil is really amazing! ), I thought I would give the Chantecaille Ultra Sun Protection Sunscreen Broad Specturm SPF 45 Primer a try. Yes, Chantecaille is coming to our shores in April! They will be opening their first beauty counter at Takashimaya Beauty Hall in mid-April so do take a look if you're interested. I've always seen Chantecaille in Europe and I am excited to give this sunscreen primer a go. This is a versatile 3-in-1 formula that helps to protect the skin from both UVA and UVB rays, smooth the skin before makeup application and provide anti-aging properties. It contains stabilized sun filters that block both UVA and UVB rays, and is formulated with cherry blossom, lemon balm and white tea extract (which have antioxidant and soothing properties) as well as carnosine (which helps promote a more firm and toned appearance and helps soften the look of wrinkles on the skin). Looking at the ingredients as well, this is silicon based which can help smooth any imperfections on the skin and minimise the appearance of pores. The claims sound amazing and I can't wait to start using this on my face! For extra sun protection, I do plan to give the Science of Skin UV Porcelain+, which is an oral beauty supplement a try as well. I've been pretty diligent with taking my vitamins daily so I thought that adding one that helps to aids my skin would not hurt. Of course, please do your research before trying any oral supplements! These Science of Skin oral beauty supplements are said to lighten skin tone, increase skin elasticity, stimulate collagen production and provide UVA and UVB protection. It contains L-Glutathione (a tripeptide in an active form to help lower overall melanin production), Vitamin C, Collagen peptides, and Frenblock which has photoprotective properties and protects the skin from oxidative damage caused by sun exposure. These supplements are made in the USA and are US FDA certified. I can't stress sun protection enough and while I am not giving up on my topical sunscreen, this supplement does give me the option of boosting my sun protection. I am pretty sceptical of oral supplements as I've read about how the actives will be useless once they reach the stomach which contains acidic enzymes as it gets broken down before it has any effect. UV Porcelain+ utilises modified-release capsules to help the encapsulated actives pass through the stomach without being dissolved so that the actives can actually be absorbed by the body after. 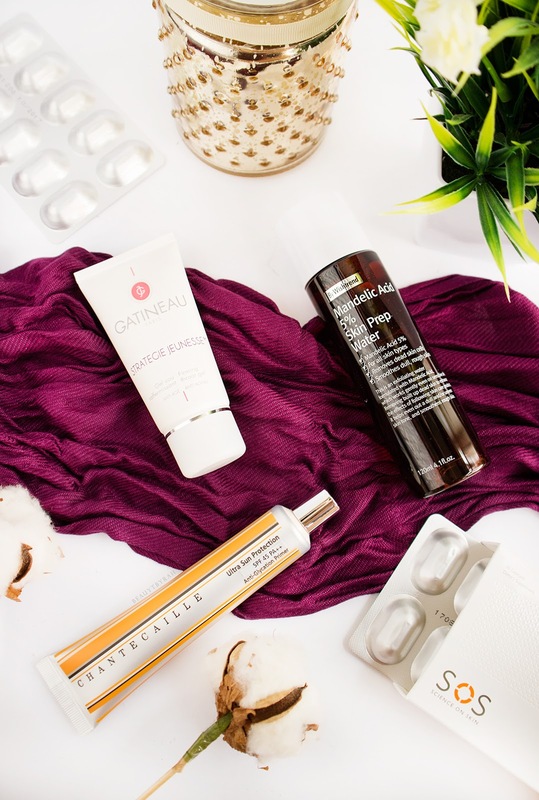 I am definitely intrigued and if it does work, it can be a fuss-free option for busy people to get the skincare benefits that they require without layering on tons of products topically. I'll let you guys know if I do see any remarkable effect from these. After all that love and care given to the face, I also gotta take care of my neck! For that purpose, I am also going to try the Gatineau Strategie Jeunesse Throat Gel. I know, throat gel caught my eye as well but in fact, this is a gel that you apply to the neck to help prevent any sagging or wrinkles due to age. I know I am only mid 20s, but prevention is always better than cure I say. Many people focus on their face but not their neck but actually, many people say that the neck is a clear way of giving away one's age. I already do have some horizontal wrinkles along my neck (I know, already?!) and I do think it's because of my double chin. Regardless, this throat gel is said to help firm and prevent sagging. I have always been applying my facial moisturiser on my neck, but I guess a specified neck firming cream would provide better results. I have used this a few times already and I like how it gets absorbed into the skin almost immediately. Hopefully my décolleté and neck will be looking fly by the end of the tube, and if it does, I'll definitely update here. Lastly, I have been pretty into soap bars recently and I received one from The Other Co so I'm going to give it a shot. 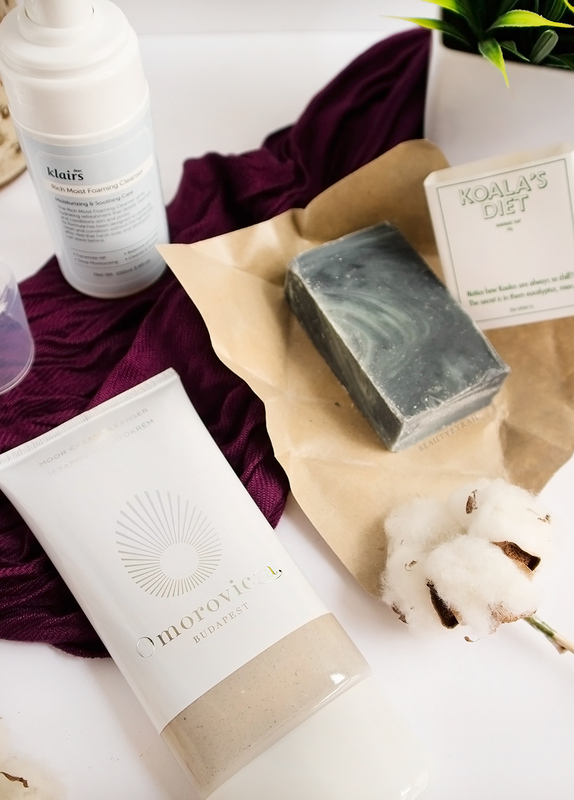 They have 3 artisanal bar soap variations available and I got the Koala's Diet (the bar looks so aesthetically pleasing that it kinda hurts me to use it!) which is recommended for those with active lifestyles and/or congested skin. Containing eucalyptus, kaolin, activated charcoal and rosemary extract, this smells absolutely amazing and can also be used on face. I can't wait to bring this along with me to take a shower. That's it for my new skincare routine for March! I know that to prevent the skin from acting up, it's best to slowly incorporate new products into our skincare routine but this time, all my products really finished about the same time. I have also (sneakily) tried some of these before this post and so far so good. I'm a little nervous yet thrilled to give these all a shot. I will update about my favourites in my upcoming monthly favourites if there is a product that I fell in love with. Skincare products do take a while to show improvement (despite any marketing or ads that claims immediate results), so I will keep a close look out on my skin before telling you my thoughts. Did any of these skincare products catch your eye? Would you try them? ** These are all PR or gifted items from the respective brands. Please do note that the Wishtrend and Look Fantastic links are affiliate links.